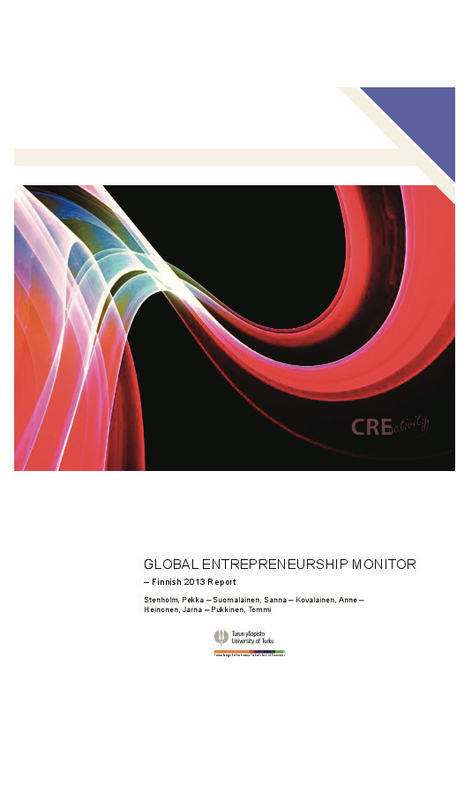 Annual Global Entrepreneurship Monitor (GEM) Finnish 2015 Report has been published. Finland is a competitive and business friendly economy with its well-developed and well-functioning support system for entrepreneurship. As to overall economic performance and business environment Finland is still a prime member of EU countries. Despite the supportive policies and environment for entrepreneurship, positive perceptions on business opportunities and high entrepreneurial potential do not turn into potentially growing and remarkable start-ups and new businesses. Finland has potential entrepreneurs with new ideas and skills, but we still seem to lack the ones who take the initiatives and exploit the opportunities. 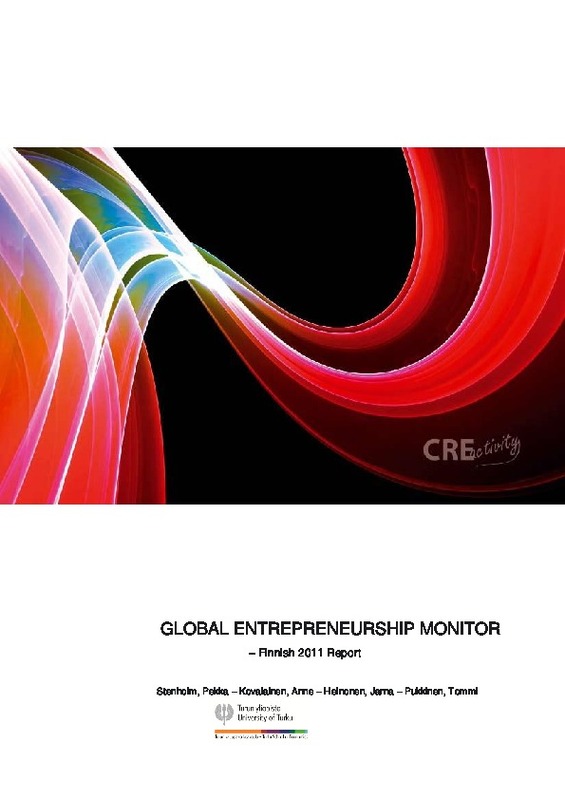 Moreover, there is a danger that the prolonged economic downturn and the lack of other employment options create increasing amount of entrepreneurs with rather modest aspirations and performance levels, particularly with regard to growth expectations, innovation-orientation and international orientation. Fortunately, in Finland the entrepreneurial employee activity is still at the average level among EU member states although it has declined. Entrepreneurial employees have good perceptions of opportunities and their entrepreneurial skills. This asset is hardly fully exploited in existing organisations and continuous work needs to be directed to those existing organizations. 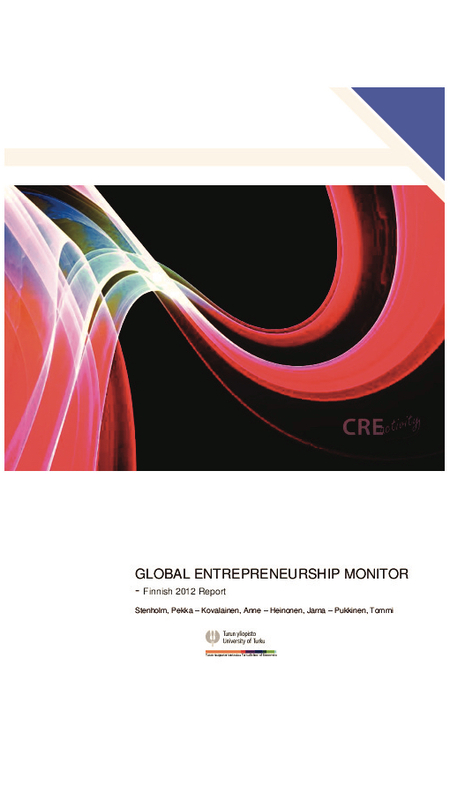 Finnish governmental policies and regulation are supportive for entrepreneurship. Further, in Finland there is lot of support provided for female entrepreneurs and high growth firms. However, according to expert opinions Finnish adults are good at spotting opportunities but lack the skills for entrepreneurial activity. ? Adult population in Finland shares the same view with experts: people are good at perceiving business opportunities but their perception of their entrepreneurial skills falls behind. Still, highly educated Finnish adults are more alert to new business opportunities than Finnish adults on average. Among adult Finns there are constantly a number of adults who perceive that they obtain both suitable opportunities and necessary skills, but who lack the entrepreneurial intentions. The question remains how to harness this potential.